Two newer skin resurfacing technologies have almost entirely replaced traditional laser skin resurfacing over the last few years. There is almost no one who can't be treated with Fraxel or Rhytec Portrait with equal or better results and a fraction of the recovery time. Fraxel is a laser used to treat damaged and aging skin by harmlessly penetrating the outer layer of skin and resurfacing 15-20% of the skin during each session. This method protects the skin from enduring too much damage at once and eliminates the downtime associated with full scale CO2 or erbium laser resurfacing treatment. Fraxel is the current gold standard for acne scarring and melasma. Laser skin resurfacing is a time-tested procedure using a carbon dioxide (CO2) laser beam to eliminate damaged outer layers of skin at specific and varying depth levels and replace the damaged skin with new, fresh skin. Many of the systems used for this process are capable of deep, moderate, or light resurfacing depending on the level of damage. The process is also known as laser peel or skin resurfacing. It may be used to improve the appearance of just certain areas of the face or the whole face, but is mostly beneficial for reducing fine lines in the areas around the mouth, forehead, and eyes. This procedure can also be useful for treating acne scars or areas with brown spots, uneven pigmentation. All of the resurfacing procedures function in the same way. The top layers of skin are eliminated, leaving smoother, tighter skin on the surface after a period of healing. There are several advantages to laser skin resurfacing that aren't available with other resurfacing procedures such as chemical peel or dermabrasion. One benefit of the laser is that it heats the deep layers of skin, stimulating collagen production. In many cases, laser resurfacing results in less bruising, bleeding, and post-procedure discomfort. Because the procedure is relatively new, no data is available concerning long-term effects, but studies have shown that the aftereffects are identical to chemical peel and dermabrasion. Laser skin resurfacing is typically performed under local anesthesia, meaning you will be awake, but feel no pain, and be given a sedative to help you relax. Sometimes with more extensive procedures, general anesthesia is administered. It takes anywhere from 10 minutes to 90 minutes depending on the amount of skin being treated. Some people are not good candidates for laser skin resurfacing. If you have black, brown, or olive skin, changes in pigementation may not be corrected with resurfacing. Anyone who has used accutane in the last 2 years or who has skin with frequent infection may not be a good candidate for the procedure. The length of recovery may vary depending on the level of damage to your skin. If you do not have time for recovery, you may want to consider an alternative method. There are risks associated with all procedures. 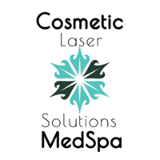 Some of the complications that occur with laser skin resurfacing include scarring, change in color of the affected skin, and heat burns from the laser. It is important to make sure your surgeon is trained in this specialty and has permission to perform the procedure in an accredited hospital, not just in a private office. After the procedure is finished, you may be a little swollen, but this can be treated with ice and medication. A bandage or some kind of cream or ointment may be used to protect the treated skin. Your skin will be pink and there will be some crusts that form, but it is essential that you do not try to take them off to prevent scarring. Most people can return to using their regular makeup after about 2 weeks, but is extremely important to stay away from sun until your skin has returned to its original state. Of course, this means using sunscreen and wearing a hat. After you have recovered, with proper care your skin will appear younger and fresher for many years to come.